Imagine the high torque and lateral stress that router cutting generates. Applying the same principles, we’ve learned over time that plasma cutting produces an amazingly smooth, clean cut. 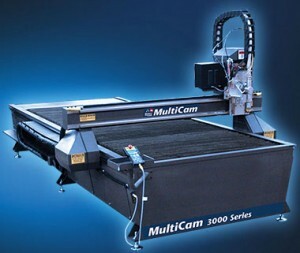 MultiCam innovations in CNC plasma systems start with the EZ Control material library. EZ Control sets all cut parameters automatically, yielding extremely consistent cut quality. 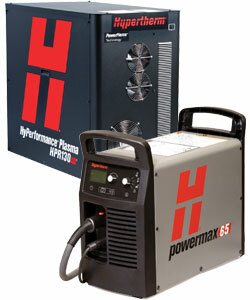 MultiCam is proud to partner exclusively with Hypertherm®, the global leader in plasma cutting torches. Its True Hole™ technology creates perfectly round holes with exceptional edge quality and reduced bevel or taper. MultiCam EZ Control® is one of the most powerful yet easy-to-use motion-control systems available on machine tools today. No wonder MultiCam named its motion system EZ Control! The focus of automating a cutting process is about increasing profits. Our customers want to make accurate parts with less waste, less labor and shorter lead times. Our goal is to provide you with the best CNC value in the industry along with outstanding service and support through a convenient Regional Technology Center. There is a MultiCam Technology Center in Southern California that has a comprehensive spare parts inventory and factory certified technicians to provide you with post sale training, service and application support.